After putting this into the 2nd Optimor case, I then tasted it at the POTG annual tasting and got nervous, because it was very austere – like liquid oyster shells! Consequently, I didn’t open it for ages, until Sayaka visited, and it was the only wine ready-chilled. I needn’t have worried! 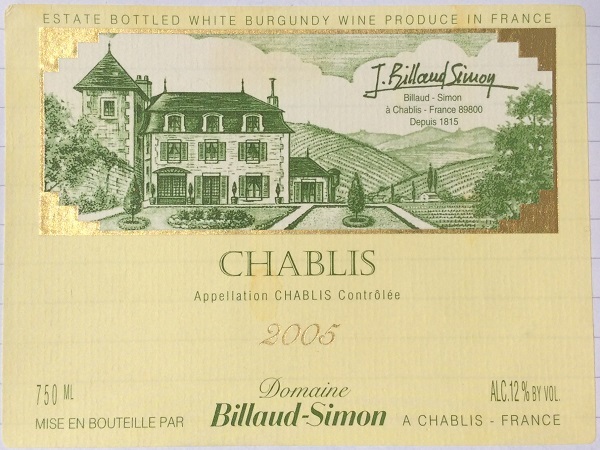 This was an excellent Chablis – the textbook balance between crispness and freshness, and enough ripe fruit to please. Pale yellow-gold, and crystal clear. A distinct creamy note to the nose, over ripe melon, pear and a hint of tropical fruit. Fresh, crisp acidity but not as savagely dry as previously. Medium body and medium alcohol. Quite intense flavours of greengage, rounded out by a creamy mid-palate and finish.